Gaining fame as a pretty good site for creating and uploading user-created games, Roblox is one such tool which allows users to play games, even in the form of a multi-player environment. It is more of a simplified version of “Unity”. There are over fifteen million games, which have been created by users, using this Roblox tool. Roblox is easily accessible on PC, MAC, iOS, Android, and many other Amazon devices. You are now capable enough to use the Roblox Studio application. Using this, users can construct games using blocks or building bricks, of various sizes and color. Roblox uses the programming language LUA 5.1, to run on devices. Scripting is also a very easy task in this, just a series of instructions are to be followed. Games in Roblox consists of many places. Users can also construct tools, buttons and leaderboards in the desired area they want to. The varying places determine the various levels of the game and these places have a different geometry. To make a place, login to the studio and under the game templates, select the flat terrain or the baseplate. This is treated as the first place you make in your game and this may be considered as a new place for a new game or an addition to an existing place in a previously developed game. However, there are several guides available which will help you out to play Roblox game perfectly but mentioning all of them here is not possible so we’ve picked some of the best & working tips to play Roblox efficiently, generate free robux & other unlimited resources. Start with the use of templates to build your first game– the flat terrain, city, hobby, base plate, racing, and sub-urban are some of the basic built-in templates, which aid you in successfully building your first own game. Apart from these, you can also use templates from themes, which resemble ones of the city, sub- urban, medieval, western, pirate island and starting place. There are also many game play templates available, which are ready to play, but all of these can be customized, any way you like. The modifications can be done without writing a script for the same. Try changing properties to know more about how well you can make use of the Roblox studio. Choosing the right moving options– There are three types of moving options- 1 stud, 1/5 studs, off, under the model option on the toolbar in the Roblox studio. If you’re using the one stud option, then that means that you are using the one stud setting and you move everything in one stud. A stud is a block enclosed with four dot boundaries. While you use 1/5, you will only move everything in 1/5th positions. Finally, if you are using the off button, then, you are using the off-setting. This is well used for detailed building but seems that it is not well organized. Changing surface of the objects- there are two ways to change a brick’s surfaces, you can do it by selecting the surface of which object you want to change the surface. You can make it glue, smooth, smooth with no outline, studs, inlets, universal, hinge, motor and also add wield. Another way to change this is by right clicking on the brick’s properties. In properties, go to the option of surface area, and then, change it. You can adjust the back surface, the bottom surface, a front surface, left the surface, right surface and also the top surface. Moreover, the skybox tool can be used to change the appearance of the sky in the course of the game. Turn off collisions-To put an object into another, that is, an object inside another object, remember to turn off the collisions. Using increments in your game will allow you to see how the parts of your made figures move and that too, in which direction. Grouping parts– grouping the parts doesn’t only make the place you have developed look more organized, but it also prevents the place look laggy. Enabling appearance of floating objects– if you want your objects, like those of brick or a model to float, then always turn on the anchor setting above the object. Rotating objects in the place– to rotate a place of the object, or the complete objects, quickly than the usual, then you should press and hold on to Ctrl+R, on your keyboard. And, to tilt a part of objects or other objects, you should press and hold on to Ctrl+T. As you learn new skills, you can continue to edit the game in the way you like, making custom graphics and also changing the animations. In the course of time, you will able to see a huge difference in the original and the customized game. 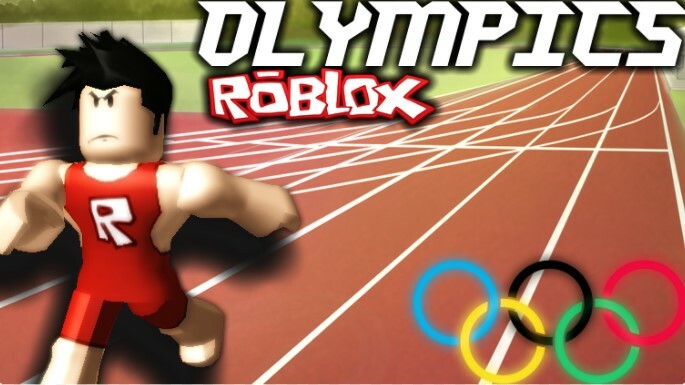 By publishing the game to Roblox, you will show off your game to the other users.